Inspired Design provides professional and affordable business website design and All-Inclusive Website Services for Denver and Colorado businesses. Many businesses and entrepreneurs do not have a website. It can be intimidating and daunting to find a web design company to develop a business website that is functional, handsome and affordable. After the free consultation(s) to fact-find and determine your website requirements, Inspired Design will provide a written quote for website design and SEO. The required deposit is 50% and the balance is due before the website is launched. Inspired Design is passionate about helping small businesses compete effectively. Many website owners have discovered that building a website is only the beginning. Websites need maintenance, updating and marketing to make them most effective. Most small businesses do not have the resources to pay $1,000’s of dollars per month for SEO services and website maintenance. The average SEO company charges between $500 and $2,000 per month. Add to this ongoing website maintenance, website updating and web hosting, and the costs are normally too high for small businesses. Inspired Design makes your business website experience simple. Websites should be easy to navigate, offer informative content, be expressive of the business and be affordable. Your also receive a responsive website design for all sizes of screens and mobile-ready for smart phones. Today’s technology-focused website design has nearly taken over and left out other important skills. Developing an online story for your businesses also requires good writing and story-telling. Simply creating a website with the latest in high-tech widgets is not sufficient. In order to tell your business story well and presnt your business in an appealing way, it’s wise to involve someone who has a broader skill set than simply being computer-savvy. Content is very important to the success of a website — for your readers and for search engine optimization. Text that is not well-written will not hold attention. And lacking relevant text will not satisfy search engines that use text to define and rank websites (read more about search engine optimization). There are many fine-looking websites that receive little traffic. Generally speaking, writing is the weakest area for most web designers — and writing for the web is challenging. It’s not much fun and it’s time consuming, but it is a vital aspect of a quality, well-designed site. 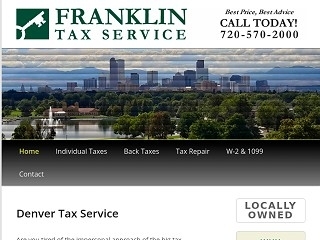 All-Inclusive Website Services for Denver and Colorado businesses ~ professional business website design – responsive and mobile-ready. Weston finds you what you need and delivers with high degree of satisfaction. I am confident referring him 100%.